The Arkadia Alpaca herd is small but genetically rich, with bloodlines from Peru & Australia, along with the best of British Alpaca breeding. With names such as Bozedown, Meon Valley, Inca, Cambridge, Rushmere, Great House, Toft & Alpaca Stud in their heritage, we are excitedly awaiting this year’s cria. Toft Talini – quite a lady & she knows it! 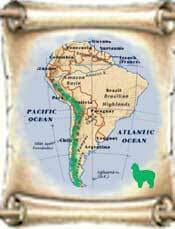 The rare and exotic alpaca is a creature of antiquity that is rapidly gaining popularity around the world. Highly prized for their luxurious coats, the alpaca has been considered a treasure of the Andes Mountains for over 6,000 years. Alpacas are New World camelids and look like small llamas or long-necked camels with no humps, especially when recently sheared. They have shaggy necks and camel-like faces with thick lips, pronounced noses, and long ears. Their large, expressive eyes seem to exhibit both wisdom and childlike curiousity. Easily domesticated, alpacas are friendly, gentle and curious.